● Savile Row Company sometimes provides complimentary shipping with a minimum purchase. Previous offers include free shipping for all UK orders over €200. ● Browse Savile Row Company’s Clearance section to browse items that have been discounted by up to 75%. ● The company will periodically offer coupon codes for further reductions. Examples include 10% off all purchases. The Savile Row Company is an online retailer that specializes in providing men with some of the finest pieces of menswear (including custom and semi-custom pieces) made from the finest materials and handcrafted by expert tailors that have been in business since 1938. Many of the individual pieces provided by this retailer are classically inspired and very English in nature, though there are also some European and American cut pieces that have recently started to make their way into the product catalog. Customers can shop shirts, suits, casual options, and silk ties, all of which are going to be able to be delivered to international locations. 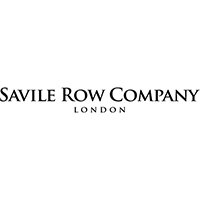 For most up to date offers check out Savile Row Company on Facebook and Twitter or contact Savile Row Company Support for any questions.